Lead generation is a way to interact with others to create interest in products, services, or some other outcome. 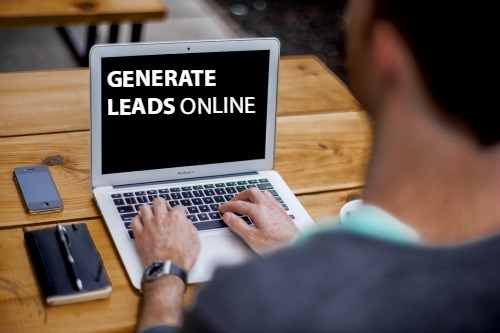 Leads can come from a variety of sources like online marketing, referrals, advertising, events, cold calling, cold market prospecting and many more. If you are looking for ways to get leads for network marketing, you have lots of ways to do that. 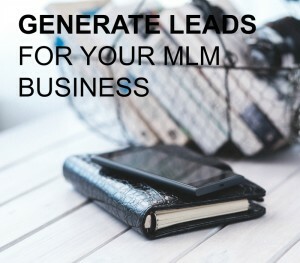 In this article, I have 15 methods that you can use for network marketing lead generation. You may have discovered that after talking to a few friends and family, you run out of people you know to share information about your home business. That is the perfect opportunity for you to learn about getting leads for network marketing. There are numerous ways for you to build your MLM business. These methods to get leads for network marketing includes both online and offline techniques. They all work so find which of these resonates with you and get to work! Leads are the lifeline to your network marketing business and therefore should be your main focus each day. Be sure that you spend time on an MLM lead generation plan and stick to it! It’s the most important activity to build a successful network marketing business. Investing your time and money into starting a blog is first here for a reason. 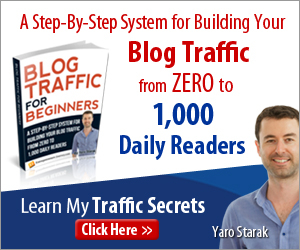 Your blog is an asset that works for you on the Internet 24/7. Blogging is a passive marketing strategy but serves as your central home on the Internet. If you build it correctly, you can potentially get leads for network marketing every day! I grew my business to over 10,000 customers from blogging and continue to generate new leads and customers daily. Provide content that delivers value to your target audience. People can discover your blog posts via search around the clock. They can opt-in to your email list, buy your products, contact you, join your business and get to know you! Download my FREE ebook about it. Start a YouTube channel and create videos on a consistent basis. Similar to blogging, you can create video content that delivers value to your target market. Keep it simple by taking your blog posts and making a video with the same information. When your videos get discovered in search, people will get to know, like and trust you. You can include links to products, your blog, email list or something else in the description. You can also embed your videos into your blog posts for those who prefer video over reading. There are over one billion people on Facebook. You can connect with people and start building relationships with them. Make a goal of meeting 2 to 5 new people a day on Facebook. Be interested in people and don’t blab about yourself. Be positive, caring and helpful! Here’s a free training about getting started with social media marketing. Blog content is great because you can repurpose it into video and audio content. Start building up a library of audio content on Soundcloud.com and then promote it to all your social networks. You can even embed it into a blog post for those who prefer to listen. LinkedIn is a great network to find leads for network marketing. LinkedIn is primarily a network for business professionals, which also includes entrepreneurs. There are many groups you can join to start connecting with and building relationships with others. Wherever you go, you can meet people and use the FORM method for prospecting. You can even do this in line at the grocery store. I have prospected many people in this way! FORM means Family, Occupation, Recreation and Message. These are four areas to focus on in a brief conversation. 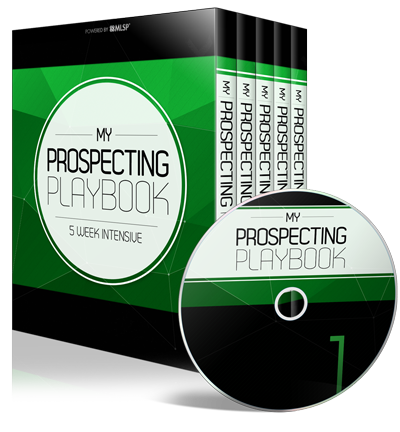 Check out this free training to learn how to prospect like a pro. Many store and coffee shops have corkboards where people leave business card. Many of these are entrepreneurs and open to new ideas. Look through the cards and grab a few! Start calling these people and explain that you don’t remember where you found the card. Ask them if they are open to a second income stream! Bet you never thought of this way to get leads for network marketing. Instead of using the online bill pay, write a check and pay the bill the old fashioned way, with the return envelope. Drop your business card in with a note. Believe me, the person who opens it is probably sick of their job and may be open to a new opportunity. Meetup has been around for years and you can find just about every interest in your local area. If you like hiking, join a hike meeting. If you love cooking, join that meetup. The point is, you’ll have another opportunity to meet people and build relationships. Turning new people into warm leads for your MLM business is possible! Most areas have local network events that you can attend. Sometimes they are breakfast or lunch events, or evening get together. If you attend these, don’t even hand out your card. Meet people, be interested in them and grab their business card. Then the next day, start going through the stack and make your calls. Get together one on one for coffee or find out more about the person. If your network marketing company has branded apparel or accessories, wear them outside. You never know when someone will see it and ask you a question or two. That’s happened to me a lot! Even in a crowded line at Disneyland! Then you can be in a rush, get their contact information and call them another day. Be creative in how you get leads for network marketing. You never know who will approach you to ask about your attire! If you have customers, put together a referral reward program. This is one of the most underutilized ways to get leads for network marketing but it works great! If they refer someone to you reward your customer with a coffee card or small gift from your MLM business. Let them know exactly how your program works. If you prospect a new person who is not interested, ask for referrals…they may know someone who is interested. You can always buy leads for network marketing but I do not recommend it. In my experience, it’s been a big waste of time and money. Most of the people don’t answer the phone and those that do, have no clue why you are calling. I included this just to say, there are better ways to generate leads. If you have a blog, video channel or even are on social media, you can create an opt-in lead page and start growing an email list. Email marketing is the perfect way to build relationships with people who are interested in your offer. I love doing this! When on an airplane, leave your card inside the pages of the magazine. If you use a public restroom, leave your card somewhere there too. You can drop your business cards most anywhere as a way to get network marketing leads. There you go! Lots of ways for you to generate leads in network marketing. Taking massive action on this will help you grow a huge business. There are many more options but these should keep you busy for awhile. If you are still struggling to get leads for network marketing, click here for FREE access to learn how to Earn 6-Figures in YOUR MLM ! Lisa these 15 ways to get leads pretty much covered everything! The tip about dropping your card in your bill return envelope is awesome and you are right the person opening it is probably sick and tired of their job. If you are in network marketing you should never have a problem getting leads and people to talk to about your business with this list. Thanks for sharing! Thanks for stopping by and leaving a comment. If you ever that fun method, let me know. Another method that I forget to mention – and I have done this many times – if I call customer or technical support for anything, it usually turns into a lengthly call to solve an issue. Somewhere in there I get their personal email and send them info about my home business. I actually sponsored someone using that method! 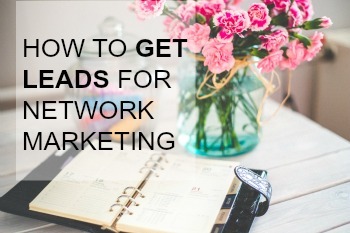 Awesome tips on how to generate leads for network marketing Lisa! I used to buy and call leads myself when I got started. What a waste of time and money.. There are so many ways to generate QUALITY leads that are interested in what you have to offer! Thank you for sharing this! Powerful stuff! I agree. I used to sit here and make call after call to people who had no clue why I was contacting them. For those that did, it was endless frustration when they didn’t show up for the next appointment call. Hours of wasted time that I could have spent building my online assets. What an awesome post Lisa!